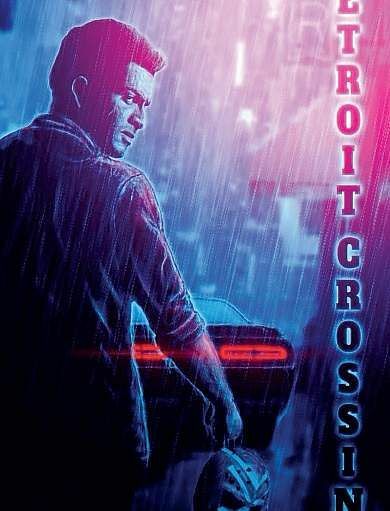 Prithviraj’s crossover venture Detroit Crossing that has him playing a member of a Tamil street gang will go on the floors this June, says director NirmalSahadev. According to the director, over 95 per cent of the movie will be shot in the US. “Detroit Crossing is based on Tamil street gangs in Detroit and Michigan. It is inspired by real-life situations but also effectively weaves together fiction and reality,” says the director. “Prithviraj plays someone who is very involved with these gangs. This is actually a film where the line between dark and light is blurred. But, otherwise it is a crime drama, with lot of action. And, Prithviraj’s character do have shades of grey,” says Nirmal. Mamta Mohandas will also play a significant character in the movie. “Mamta plays a unconventional character. Her role is equally important. We needed someone who could pull the character off with aplomb. And, with her sophisticated look, she suits the part,” says Nirmal adding that he finds her to be a phenomenal actor. Since the movie is based on Tamil street gangs, it will have prominent actors like Sampath Raj and Ashwin Kumar in pivotal roles. “Since there is a lot of Tamil influence in the film, we have cast some prominent Tamil actors such as Sampath Raj and Ashwin Kumar in important roles,” says the director. However, he clarifies that Detroit Crossing is nothing but a proper Malayalam commercial venture. “It is a Malayalam commercial movie. Only that we are shooting it in the US. We do have certain sequence in India too,” he adds. He added that the team might come up with a Malayalam title for the movie. Detroit Crossing will have most of its crew from the US, including cinematographer Lukasz Pruchnik who shot Fahadh Faazil-starret Monsoon Mangoes. The movie is being produced by the Anand Kumar Payyanur under the banner of Yes Cinema Company.